Hi friends! Wow, have we had a lot on recently. 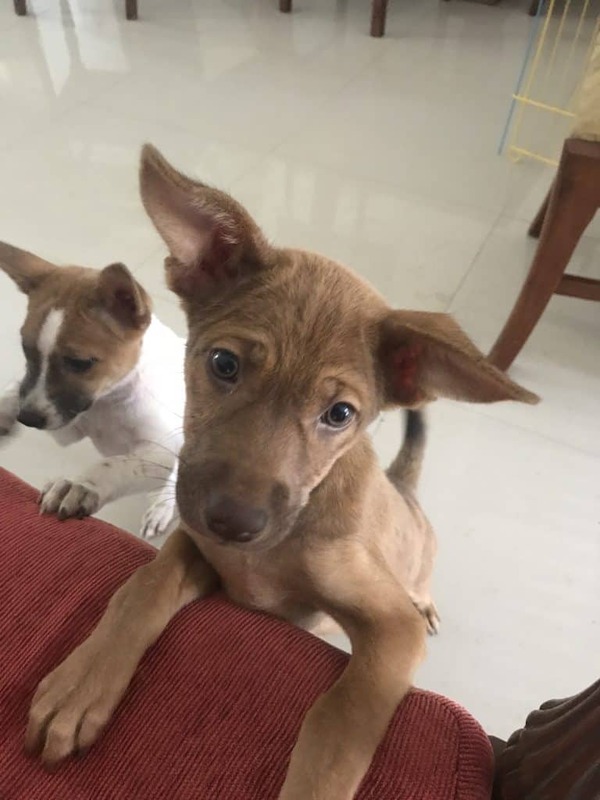 As well as having several visitors from the UK as well as the usual work and homeschooling, we somehow found ourselves in the role of Bali dogs volunteer as a foster family for two adorable puppies from the Act 4 Bali Dogs charity. 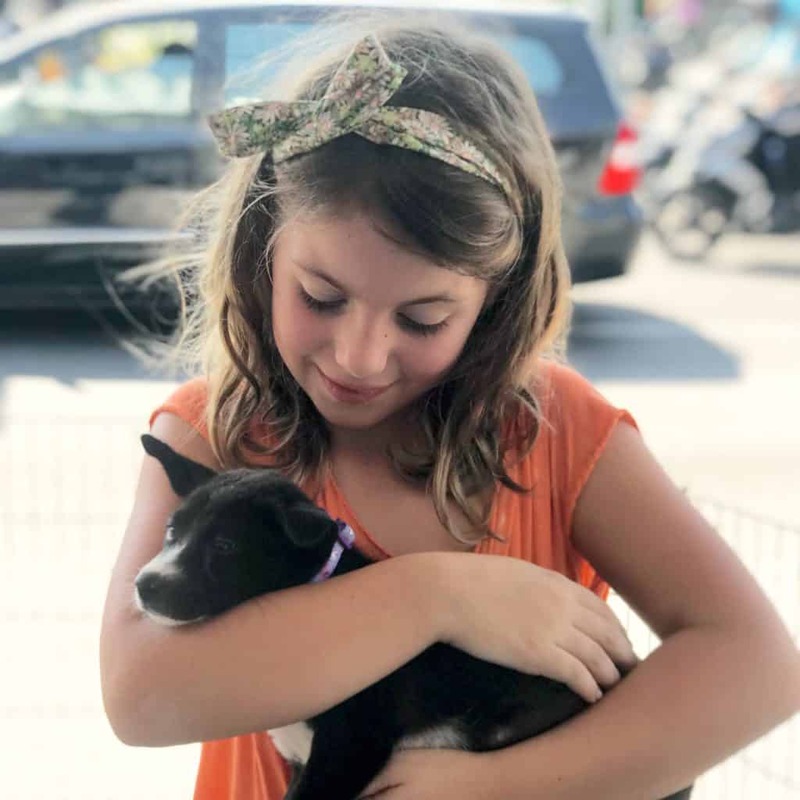 A couple of months ago we saw that Act 4 Bali Dogs, a Bali dog rescue charity set up by two amazing women, was having an ‘adopt a puppy’ day at the local pet shop. 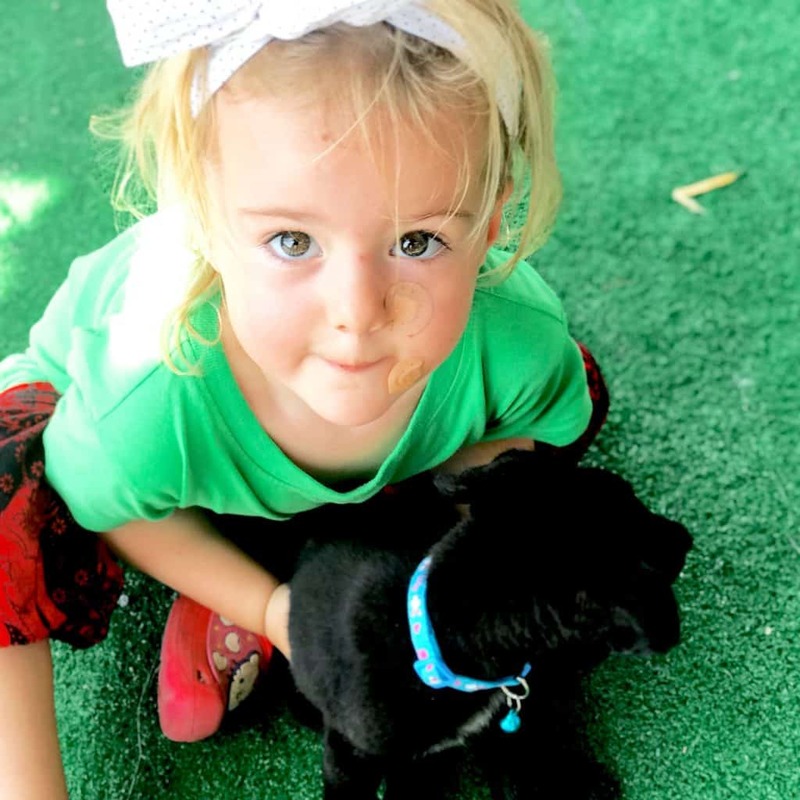 We thought it would be fun to go and play with the puppies, and we were totally right- the girls sat in the puppy pen for three beautiful, messy hours, cuddling and playing with the puppies who were waiting for their forever homes. 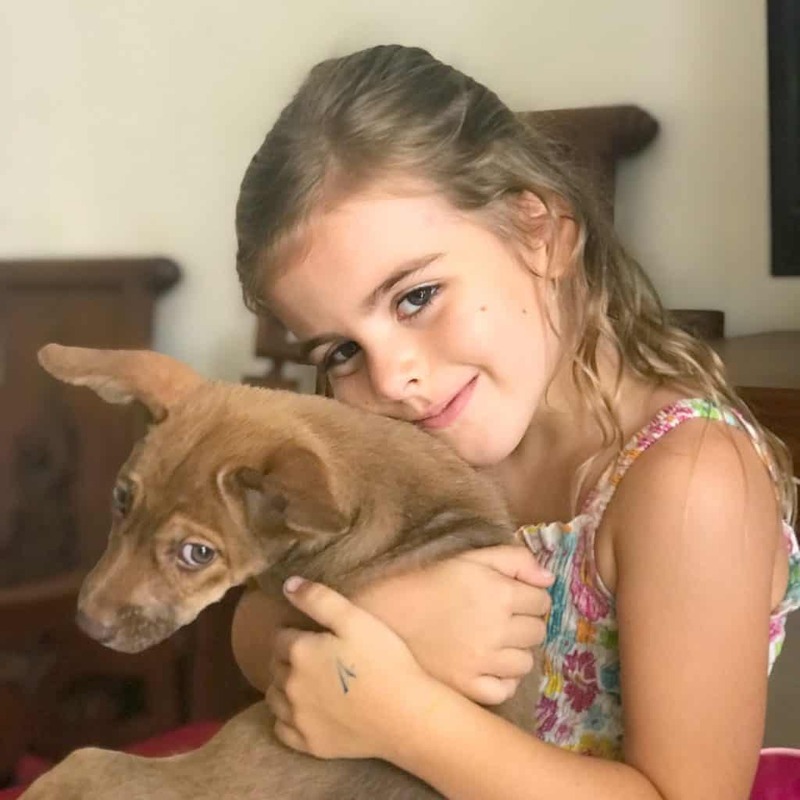 We learned that the two women have turned their own small house into a Bali dog refuge- they live with over 30 (yes, THIRTY) dogs that they have saved from the streets, and spend their days caring for their charges and rescuing more dogs. They’re amazing. Somewhere during the afternoon, probably during the first half a second of a cuddle with one of the puppies, I decided that it would be a GREAT idea to become a Bali dogs volunteer and provide foster care for some of the puppies- the Bali dog rescue charity was (and is) crying out for foster carers to look after puppies until their get adopted and I thought it would be a super educational, fun, rich experience for the whole family. Patrick thought that I might be being a tad optimistic and romantic about the reality of looking after two puppies in a two-bedroom apartment, which of course I vehemently denied. Good luck saying ‘no’ to this face. Fast forward a few weeks, back-to-back 4.30am wake up calls and goodness knows how many puddles and piles of puppy waste strewn around our apartment, and he got to hear those golden words that all spouses live for- “You were right.” The kids loved the puppies but by the end of the foster were begging us to take them back to their home so that they could get a decent night’s sleep without barking, crying, whining or having puppies burst into their room at 3am when they escaped from their pen (dogs can jump HIGH). 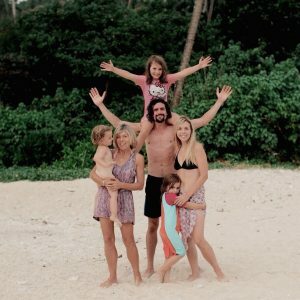 It was a super educational experience for the whole family- we learned that Bali dogs eat rice and eggs, cooked fresh twice a day, and that I really don’t like cooking for dogs (or anyone), and that kitchen roll is expensive, and that any tiny change in diet gives puppies uncontrollable diarrhoea. We learned that puppies are actually like toddlers, but toddlers on amphetamines who can run at the speed of light and don’t wear nappies, and have really sharp teeth that can chew through hardwood sofas. We learned that the only thing worse than stepping on Lego in the middle of the night is stepping in a warm puddle of puppy pee. All. The. Education. Anyway, it was an experience and an adventure, and we helped out for a bit by giving two little pups a whole lot of love, attention and food, which is what life is all about, right? If anyone is in Bali for a month and fancies fostering puppies, get in touch with Act 4 Bali Dogs on Facebook and if you are able to care for one of their charges they will deliver fluff bundles straight to your door, like a magical library of rescued puppies. On a serious note, these women are rescuing more puppies every day from the meat and sacrifice trade, and any donations of food, money or time is very much appreciated. The stray dog population among Bali dogs is booming (see our post about our run-ins with dog attacks here) and the more we can do to temper it, the better.